Mix your favorite marinara sauce into skillet. 1. Preheat oven to 425 degrees F (220 degrees C) with a square baking dish (about 8”x8”) for about 7 minutes. 2. Meanwhile, in separate bowl prepare batter mixture by adding flour, milk, sugar and baking powder. Mix. 3. Using oven mitt carefully remove baking dish from oven; add butter so it melts. 4. Pour batter mixture over the melted butter. 5. 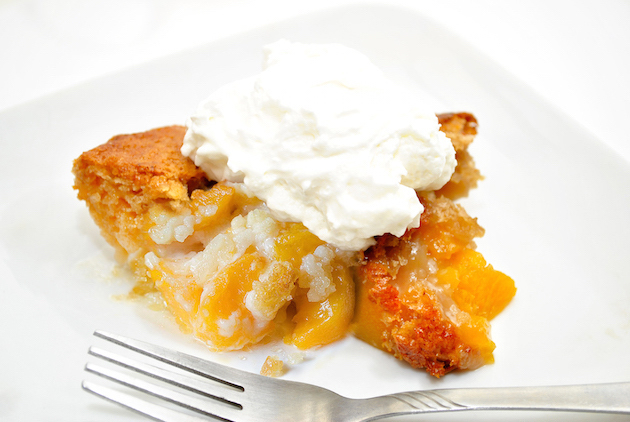 Pour can of peaches over it. 6. Bake for 30-35 minutes. 7. Serve — excellent with ice cream! Best Value © Copyright 2016, All rights reserved.